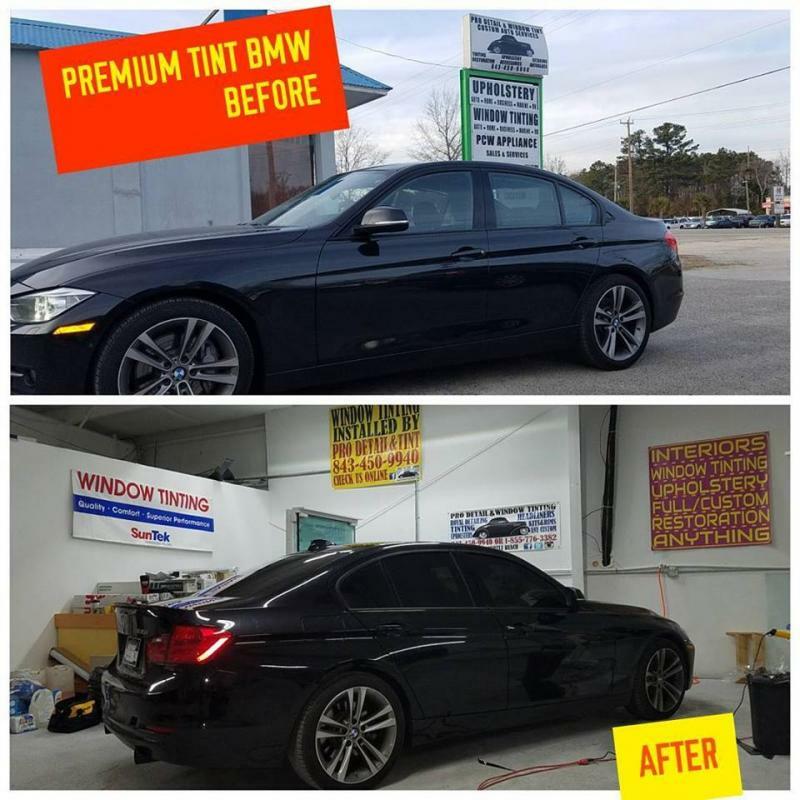 Besides looking good, there are many reasons to tint your car from protecting against health concerns, safety and privacy reasons, as well as preserving your investment in your car. Listed below are some of the top reasons that people tint their cars at The Pro Detail Shop. Your car's interior can be 60% cooler during those hot summer days with proper tinting. Once tinting film is applied to a window, the characteristics of how visible light comes into the car changes. Normal auto glass without tint reflects around 5% of visible light (known as VLR%), absorbs another 5% (known as VLA%), and transmits 90% of visible light (known as VLT%) into the car. ﻿Some tints are more reflective, and others absorb more light. The number you will most commonly see is the VLT% (Visible Light Transmittance). VLT tells you how much visible light is allowed to shine into the car, and also indirectly how dark the tint looks. Tinting film doesn't just block visible light. It also blocks harmful cancer-causing ultra-violet (UV-A and UV-B) rays as well as infra-red (IR) rays that cause heat to build up in your car; however, how effective a film is in blocking these rays depends on the type of film, and manufacturer. For more info on tint Contact Us here..
2. MJ - MAX JET - 1.5 Mil Color stable technology - thicker edition of clor dye that improved with clear coat top and also the Color Stable Technoloy which means the color of the film is on between the layers and creats Non Fading feature therefore MJ join to our Lifetime Warranty lines. 5.﻿ InfinityOP, or “Optimum Performance,” is the industry’s leading all-metal, reflective window film﻿- All Metal Costruction - Lifetime Warranty Film. This is a great film with a reflective texture ( more silverish especially darker you go with) this more common around show cars. the Ceramic construction brings the heat reject , Infra Red and in conclusion , all harmful rays to the max protection. As we always stated before - we do care about our customers and put ourselves in the consumer shoes - therfore we are always trying to get each one of you onvolved in the process and supply the best knowledge in easier pattern in order to get you confidence and knowledgable even if you decide to check somewhere else - But now at least you know what to look for and always be on top of it and now let anyone take advantage of you - Knolwdge is power = PRO DETAIL is PRO CARE & PRO KNOWLEDGE. 2. BRANDING ABUSE - ITS NOT ABOUT THE BRAND ITS ABOUT THE QUALITY - Of the Film and of the Installation - Many people are going to tint shops that carries tint brand - as you know some brands known more than the other not because they are neccessairly better but the marketing investment the company put in it . 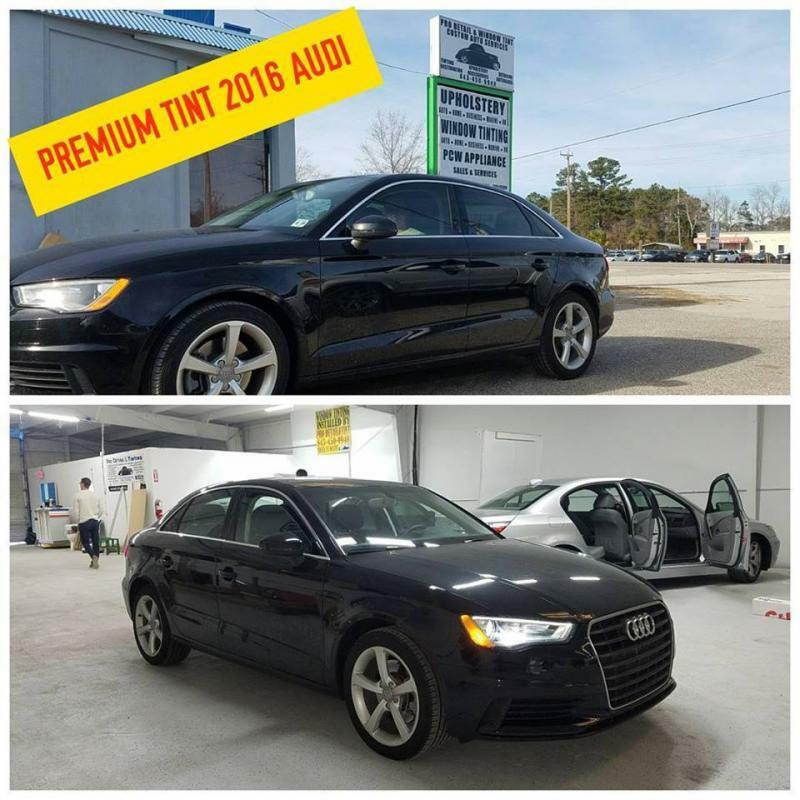 We heard many people before stating I got this or that Brand but when you asked them what quality they stood speechless- Well , YOU NEED TO KNOW THAT HERE IN PRO DETAIL & WINDOW TINT MYRTLE BEACH WE EXPLAIN EACH ONE OF YOU WHAT DO WE CARRY AND SUGGEST YOU TO SEE AND FEEL IT NOT BECAUSE WE WANT TO UPSELL YOUR TINT NEEDS BUT BECAUSE WE KNOW WHAT WILL BE BETTER FOR YOU AND WANT YOU TO KNOW THAT ITS ALL ABOUT THE QUALITY NOT THE BRAND - EACH BRAND LIKE IN ANY ITEM IN THE WORLD CARRY THE LOW END AND HIGH END , AS AN EXAMPLE YOU CAN BUY A CAR WITH BASIC PACKAGE NO ELECTRIC FEATURES NON MULTIMEDIA NON UPGRADE ENGINE OR OTHER MECHANICAL UPGRADES- OR VICE VERSA YOU CAN PAY MORE AND GET A DIFFERENT TYPE OF PERORMANCE WITH SAME BODY STYLE CAR AND SAME BRAND. PLEASE ACKNOWLEDGE WE WANT THE BEST FOR YOU HERE IN PRO DETAIL & WINDOW TINT. Copyright 2010 Pro Detail & Window Tinting : Custom Auto Services All rights reserved.